Ever since I wrote this article last month, friends, relatives and even strangers have been contacting me to know more about my life in Sakhalin Island, Russia. I was even offered a little bit of airtime on a local television station (which I declined). My Russian friends were offended and said I portrayed the country in a negative way. It was not my intention to do so, and in hindsight, I can agree with some of the points that they made. First of all, the service culture in the country is a mixed bag. You never know what to expect. In one café or office, you may have both nice people, as well as those who are downright nasty. Such drastic contrasts in behavior in one service-providing organisation are unheard of in the Philippines. In this article, I want to focus on some of the commonalities and differences between Pinoys (Filipinos) and Russians. The greatest link between us is Christianity. A majority of Pinoys are staunch Catholics, and I noticed that many Russians were finding peace once again through Orthodox Christianity. But in both countries, other churches are also becoming popular. I think the idea of God is very important for both Filipinos and Russians. I am a Jehovah’s Witness, and I was happy to find a congregation of my church in the town of Korsakov, which was close to my worksite, the Sakhalin-2 LNG plant. I was immediately accepted as a “dukhovni brat” or spiritual brother by the members of our church. I was told that Orthodox Church did not approve of Russians becoming members but no one ever faced any kind of harassment. In fact, one of my Filipino colleagues was a Hare Krishna follower. He attended regular religious services in Yuzhno-Sakhalinsk and told me that there were a small number of Indian expats who were there along with many Russians. There are no obvious restrictions to freedom of religion in both countries, from my experience. Although we have a common love for Japanese cuisine, Russians and Pinoys just cannot see eye to eye on food. Not many Russians have been to the Philippines but word has spread that we, Pinoys, like dog meat. Honestly, I have happily eaten Asocena, a dog meat dish, in the past. Many of us were once fond of eating dogs, but the Philippines has an animal welfare law that bans the possession, consumption and sale of dog meat, except for indigenous people in one region. I may offend many readers, like I offended friends in Sakhalin, but I think there’s nothing wrong in consuming dog meat. In the Philippines, before this unfair ban was imposed, dog meat was the third most consumed meat after pork and mutton. If Russians find the idea of dog meat revolting, I can say the same about salo, the slab of pork fat that my friends relish. If dogs are affectionate animals, so are pigs. In Sakhalin, the indigenous people and many Russians eat reindeer meat. Don’t these beautiful animals also have the right to live? The only people who can call themselves animal lovers are those who do not consume any kind of meat. 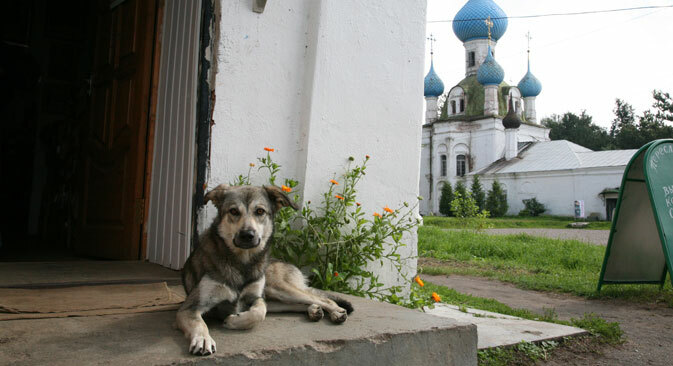 There were stories of Filipino laborers kidnapping stray dogs and cooking them in Sakhalin. I completely condemn this behavior since these people offended the sentiments of the locals on the island. I wouldn’t think twice though about having dog meat in the Philippines, in the region where it is not banned. This does not make me any more or less civilized than those who eat other animals. One man’s meat is another man’s poison. In any place, it’s the job of the visitor to respect local customs, culture and etiquette, and the main reason I did find some great and lifelong friends in Russia is because of my willingness to play the role a good guest. I now hear that many Russians are planning to visit my country since there will be direct flights and more promotions of the Philippines. I am sure they will win hearts in the archipelago if they show sensitivity to Pinoy culture.